Part of the world's largest known uranium reserves in Australia, Kintyre is an advanced-stage exploration project. Cameco Australia PTY Ltd owns 100% of the project. 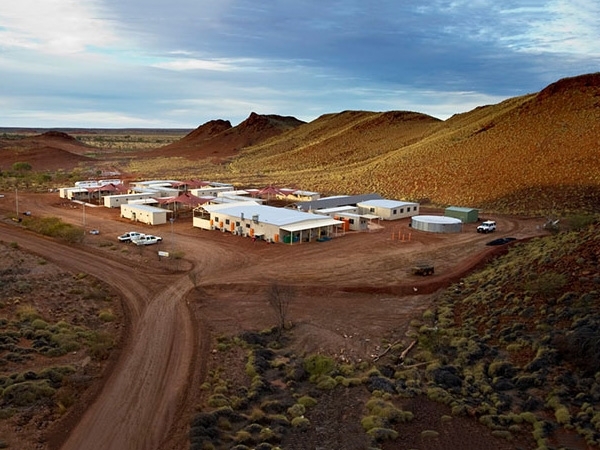 The project land is located at the western edge of the Great Sandy Desert in the East Pilbara region of Australia. We believe that we have some of the best undeveloped uranium projects in the world. However, in the current market environment our primary focus is on preserving the value of our tier-one uranium assets. We continue to await a signal from the market that additional production is needed prior to making any new development decisions. No work is planned at Kintyre. Further progress towards a development decision is not expected until market conditions improve. A number of studies have been completed to evaluate the potential effects during the construction, operation, and decommissioning of the Kintyre project. Cameco's Kintyre exploration camp in mid-2010. Workers drilling at Kintyre and the surrounding tenements to identify additional resources. We believe in contributing to the well-being of communities where we operate. To learn about what we do in Australia, visit www.camecoaustralia.com.